“Top o’ the mornin’ to you”! 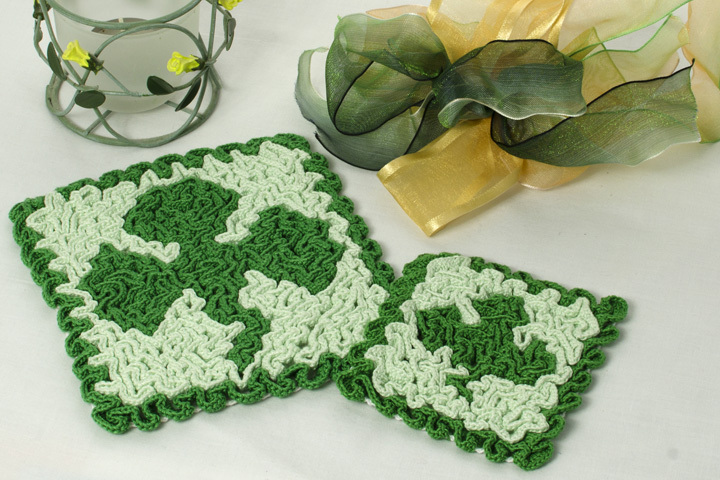 You’ll have the “luck of the Irish” with this wiggly crochet Shamrock hot pad & coaster set! The hot pad is perfect for your hot corned beef and cabbage dish while the coaster keeps surfaces unharmed from water rings. And they make great gifts, too!